When I first tried Vanilla Hinoki, I was so surprised by its steamy opening. It really does come across like a warm bath. The opening is sweet, spiced citrus. It sort of reminds me of ginger candies. As it wears, it turns into lemonade. Now, let’s talk about the baths. The fragrance starts to wear like a steamy bath of lemon wedges and lavender buds. It’s herbal, fresh and surprisingly “warm”. Underneath there’s a slight woodsy smokiness. The dry-down is juniper/evergreens with a faint trail of incense. The vanilla is more noticeable at this stage. But, it is balsamic and almost comes across like incense (like a resin). What I love about Vanilla Hinoki is that it is a perfume to appease the “haters”. If you think you don’t like vanilla, try this. If you think don’t like citrus, try this. If you think you don’t like perfumes that are described as “fresh and clean”, well, then try this too. 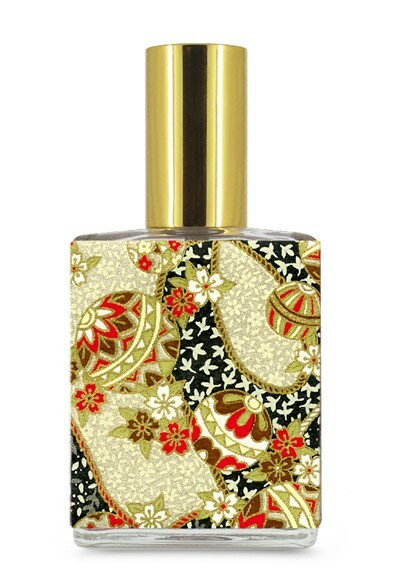 Give Vanilla Hinoki a try if you like fresh, oriental-style perfumes. Or if you like perfumes like Guerlain Shalimar Cologne/Eau de Shalimar, CREED Sublime Vanille, Alexandria Fragrances Splendid Vanille and/or Pour le Monde Together. Projection is below average and longevity is average. It wears closely to the skin in both the oil and EDP format. Now let me talk about the formats since I’ve worn both. Both are very similar. However, I prefer the EDP. In the EDP, it reminds me more of a sheer, herbal classic such as Guerlain Shalimar. The lavender and lemon are more pronounced, as is an unusual camphoric note (the hinoki). The perfume oil is also very nice but the lemon is more candied and the vanilla is more prominent (but so is the patchouli!). I actually take back what I said earlier. I like them both. However, I prefer the EDP and its herbal freshness in warmer weather and the oil with its balsamic quality in the cooler weather. The 1.7 oz EDP retails for $95. The perfume oil retails for $60. Both are available at Luckyscent. Samples are also available for purchase. Victoria’s Final EauPINION – Steamy lemon bath. It very much reminds me of a hot spring/onsen. It’s fresh, steamy and clean but not “soapy”. But, it’s also a vanilla that isn’t sweet or like tobacco. In summary, it’s just a really good fragrance. *Disclaimer – Sample provided by the brand. I am not financially compensated for my reviews. My opinions are my own. Product pic from Luckyscent. Dona Drake pic (which is perfect for this review BTW) is from fanpix.net. I adore this perfume, and what’s more, I love it for pretty much exactly the reasons you listed. It’s a vanilla that I actually like, a citrus that isn’t boring and the hinoki gives it such a smooth, rounded note that I adore wearing it. It’s so good. It’s all of the things listed but it’s such an unique take on things we *think* we already know (AKA have smelled a million times). It’s a really smart perfume and it sure isn’t boring!